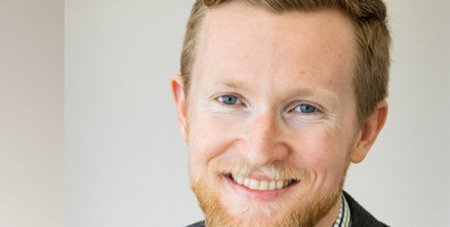 Australian Catholic University politics researcher Ben Moffit has been named as one of the ABC’s inaugural Top 5 researchers in humanities and will take part in an "ideas incubator" at the public broadcaster. Source: ACU. He is one of five humanities and social science researchers selected by the ABC from more than 280 applicants from universities across Australia. The resident researchers will be immersed in an ideas incubator at the ABC, alongside some of the country’s best journalists and broadcasters, to bring their specialist knowledge to a wider audience. Dr Moffitt’s research focuses on understanding the rise of populism across the globe. “While everyone knows the obvious examples of populism — Donald Trump or, locally, Pauline Hanson — my research shows populism is a worldwide phenomenon,” he said. “I want to know what links populists that have different ideological goals, and ask what makes them so appealing to voters. I also look at how populists use media (think Donald Trump and Twitter) and what effect populism has on democracy. “Despite it seeming to be everywhere, there is still a great deal of confusion about what populism is, whether it's good or bad for democracy, and what we should do about it. “My research aims to take a step back and cut through the name-calling to offer a comparative perspective on populism. “In doing so, I hope people can get a better grasp on what they are actually dealing with when it comes to the divide between 'the people' and 'the elite'." National Head of the School of Arts Michael Ondaatje said the new Top 5 humanities program was an excellent opportunity for outstanding early-career researchers to assume important roles in key public debates in Australia.